I’m sure you’ve heard and read loads of travel tips how to prevent being robbed / pickpocketed while travelling. While all those tips are indeed very handy, we should all bear in mind that as technology improves, so does the various methods of theft. 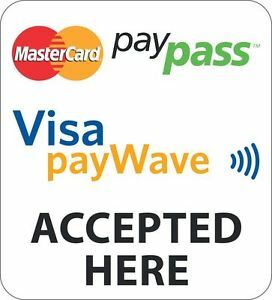 In Australia, Paypass makes paying for purchases less than $100.00 really convenient. The cardholder can just merely swipe or tap her card in the machine and go. That easy. Unfortunately, it’s also THAT easy for electronic theives to swipe your details off you. These days, pickpocketing does not necessarily mean someone literally sneaking up on your bag and stealing your physical wallet , card or money from you. They don’t even have to touch you to steal important details from you. Scary right? Unlike physical pickpocketing, you wouldn’t even know you’d been robbed until it’s too late. (When the crooks have already gone on a shopping spree using your account). This definitely happened to me after returning from a trip to Asia last year. I returned home and received a call from my bank to ask if I’d made any furniture purchases in the UK. This was immediately stopped and blocked, and while it’s great to know that banks are quick to action and query dubious charges, it still freaks me out because to this day, I don’t know where or how exactly my card details were stolen. RFID means Radio Frequency Identification. All one needs is an RFID reader, slide close to victims, wave that thing around till it picks up valuable details. How to prevent RFID theft? Many sources (including the video above) suggest wrapping your cards with aluminum foil to prevent the card from being read by such machines. The problem with this is it makes it cumbersome for you to take your card in and out of the foil (the awkward motion of which may result in you being physically pick pocketed, or you dropping your cards). 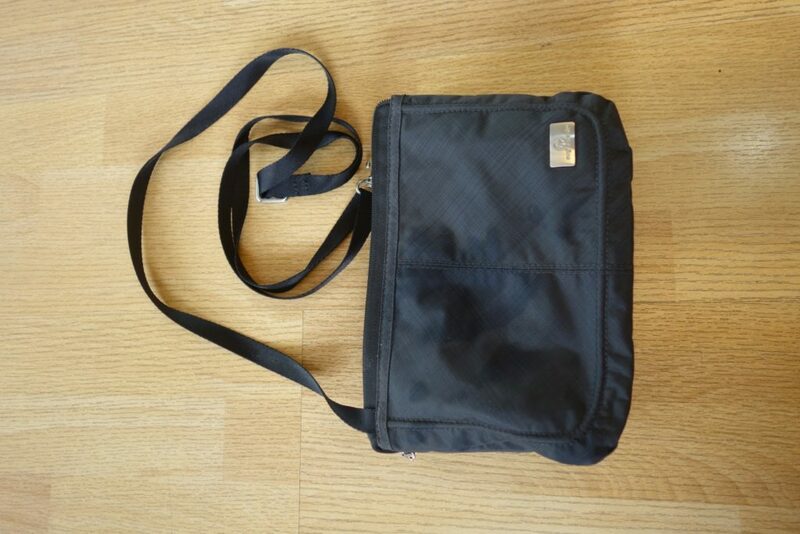 Thankfully, many travel bag companies are aware of this rising theft trend and have manufactured bags with what is called “RFID-blocking” material. It’s available in 2 other colours (Blue, named ‘Sapphire’ and a mustard-coloured one, ‘Camel’). I went safe and chose Black so it can fit with any outfit. While the material was sturdy, it was by no means rough or had any visibly felt wiring of any sort. It looks and feels like a ‘normal’ bag. What I liked about this particular bag was how it is able to pack so much despite it’s tiny size! 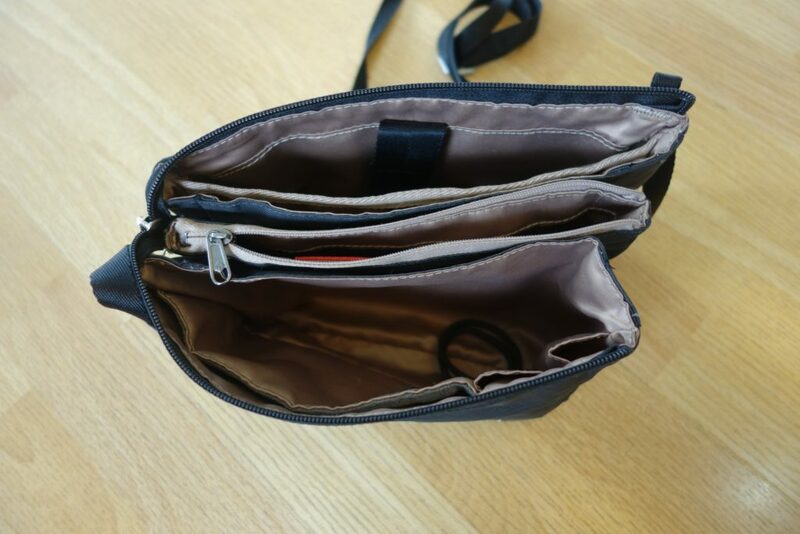 There are several compartments and linings inside the bag, and it also has a padded compartment for a mini-tablet (I have none so I used it to store my passport). I was initially apprehensive to carry a smallish bag. I’m a huge handbag kind of person, but I’m glad I was able to try out a compact size that fits a lot, because now I know I’m able to travel with a bag this size and have everything I need in it too. 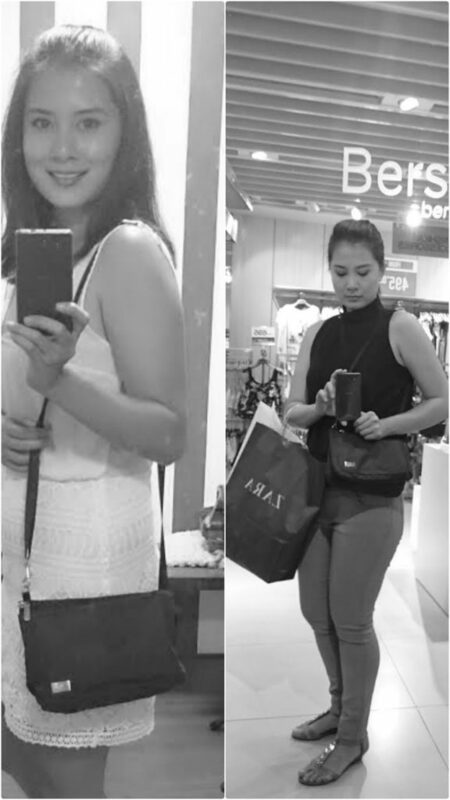 Because of the colour and size, I was able to take it everyday – whether it was just to go shopping, or to head out for dinner. The straps are adjustable so it was great to have that flexibility to wear it any way I wanted. My only gripe would be the quality of the straps as they felt very flimsy. It seemed rather out of place from the material of which the entire bag’s body was made of. I will definitely take this with me next time I travel. It’s such a convenient way to have all my essentials in one bag and know that I’m secure from the RFID-machine reader-wielding thieves. 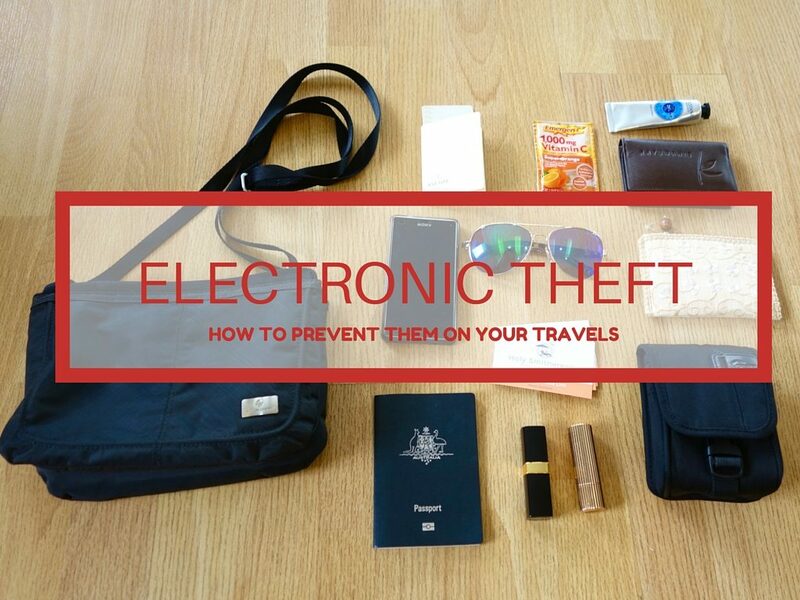 Have you experienced e-theft while travelling? 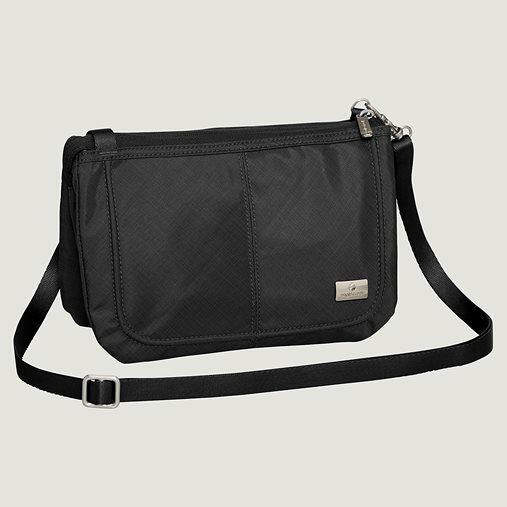 I was provided the Accordion Mini Crossbody by Eagle Creek for the purpose of a review, but all opinions and thoughts are mine. There is no obligation to write in a favourable light. 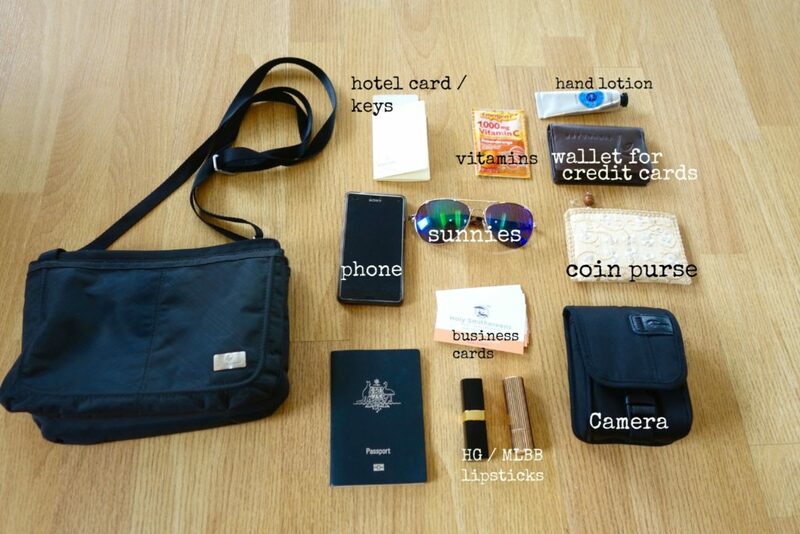 I love a small tough bag when travelling, so this one looks good. We have definitely had all sorts of issues with theft from our Visa card, but not through this kind of problem you describe. Haha I remember the days of good old travellers cheques! I always hid money in my shoes… these days I just take cards and hope for the best. But a strong bag is a great great start for security. Gosh Travellers Cheuques! haha! I sometimes travel with a money card from my bank, but the last time I travelled with it , it proved more of a hassle than anything! A friend had $3000 taken from her credit card as she walked through an airport. That was all she had and it was scanned by someone. So yes, and RFID is common sense now days. I generally put some money in my bra, but a Venezulan friend tells me that that is the 1st place that thieves there go for. Go figure. Whaat, that’s terrible! I hope she got it back?? Yes, I remember when RFIDs first came out, I was thinking “nah, it can’t happen to me” (yes the arrogance of thinking you’re the exception!) and then bam. When I bought something at King Power Duty Free in Bangkok our charge appeared and then we were charged the same amount the next month. It was only $34 but it was sneaky because if you don’t keep track you’d just think yes that’s what I bought and it was around that much. That’s really sneaky of them! Yes I agree they probably are banking on people not noticing after all its not a significant amount..and just rely on sheer number of people they take a small amount from. I hope you got it back! I never heard of RFID-blocking material for bags. It’s unfortunate that now a days we have to not only watch out for pickpocketing but for scammers using machine readers to steal your credit card information. Thanks for the tip, I’ll have to look into these types of handbags for further travel. Thanks Suze!! We’re so giddy and proud we weren’t last haha! Well the almost all-male competition was tough to beat if challenges relied on physical prowess. Yes I’d love to do the wire cycling again without any pressures of finishing…just for fun! it is scary how your money can be taken just like that! I like the bag a lot. I always use a cross body bag that’s just big enough but not too big- so this would be great for me! Hi Joella! Yes its unnerving how one’s hard-earned money can just be taken in a few seconds! Just found your blog from the WTM website. Shame I didn’t read it earlier. Would’ve been lovely to meet you at the WTM. Thanks for this warning about the RFID warning. In the UK we have “contactless” payment but you need to register your card first and I have always refused and I thought I’d be safe. I shall be extra cautious when I travel now. Looking forward to reading about your new adventures. Hi Nooraini, thank you for dropping by! Agree, it would have been great to meet at WTM! Busy as it was, it was lovely to meet other bloggers/ people from the travel industry. Theft is very common while travelling, it is very important to be alert for such situations, sometimes it becomes very difficult if faced such situations at unknown places.